In a statement released by the UK Ministry of Defence (MoD) 22 March, UK Defence Secretary Gavin Williamson has signed a $1.98Bn deal to purchase five E-7 airborne early warning and control (AEW&C) aircraft. Designed for the Royal Australian Air Force (RAAF) under “Project Wedgetail” and designated E-7A Wedgetail, the E-7 is based on a standard Boeing 737 NG airliner modified to carry a sophisticated Northrop Grumman active electronically-scanned radar and will replace the UK’s ageing fleet of E-3 Sentry aircraft. 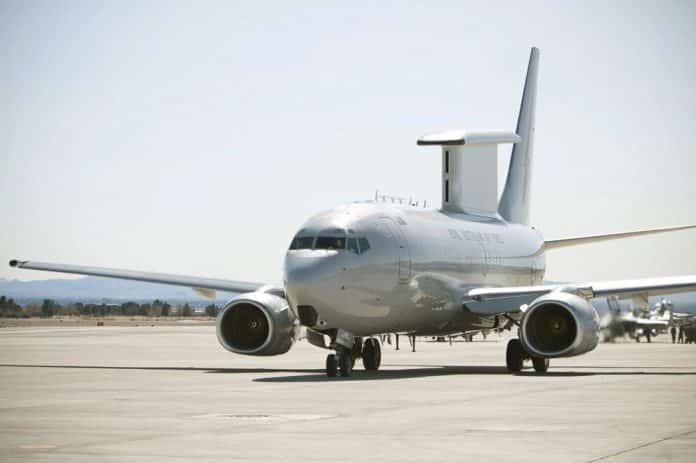 The E-7 aircraft is currently in service with the RAAF, Turkish Airforce, Republic of Korea Airforce and has been used on operations in the fight against so-called Islamic State in Iraq and Syria. This announcement builds on a growing military capability and industrial relationship between the UK and Australia after the Australian government selected the British Type 26 design for the Royal Australian Navy under the SEA 5000 (Future Frigate) programme.